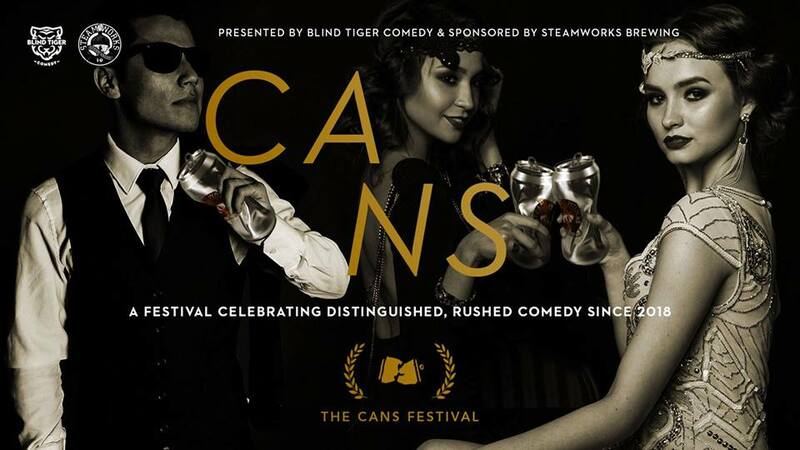 We are very excited to announce Cans, a festival celebrating distinguished, rushed comedy since 2018 that will celebrate opening and closing night Friday, September 21 at Little Mountain Gallery in two distinct galas, 7:30 and 9:30pm. Sponsored by the fine folks at Steamworks Brewing, this festival forces a stellar list of exceptional comedians to produce tight, funny, good, excellent written comedy. But not just any comedy: each show must satisfy creative demands from the content, to the titles, to various technical elements chosen by YOU, the people of the internet. Read on for details on how to vote on what you want to see! As with any world-class festival, this festival will feature reviews, awards (including Audience Choice, Sponsor’s Choice, and Critics Choice) and general pompousness.